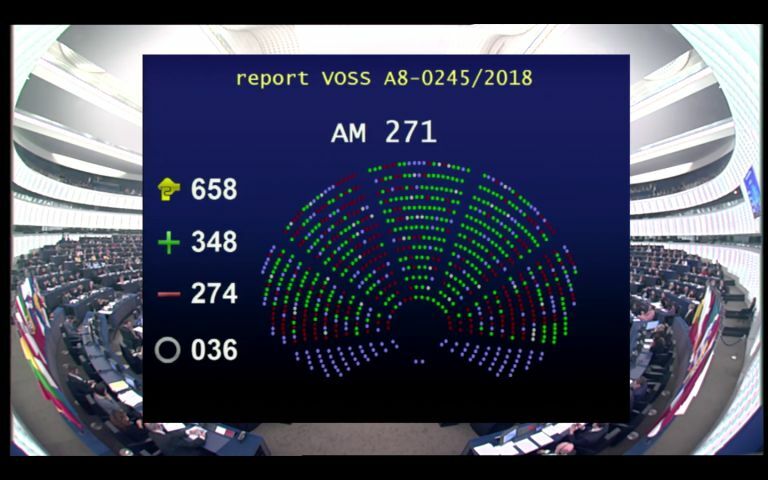 The Federation of European Film Directors (FERA), the Federation of Screenwriters in Europe (FSE) and the Society of Audiovisual Authors (SAA) welcome the European Parliament’s final vote on the Copyright Directive in the Digital Single Market. This is a great achievement for European authors. A long-fought battle has been won with this final vote of the European Parliament. After many months of negotiations, the EU institutions have reached a compromise on the Directive on Copyright in the Digital Single Market that establishes a much-needed level playing field for the cultural and creative sectors, in particular the audiovisual industry, to adapt to the 21th century online environment and integrate the global online players in the European copyright ecosystem. FERA, FSE and the SAA thank the members of the European Parliament for their determination to improve authors’ bargaining position and remuneration in Europe under intense pressure. Indeed, as demonstrated by the recent survey on European audiovisual authors’ remuneration, audiovisual authors are struggling to make ends meet and to maintain sustainable careers; they are in urgent need for action to improve their situation. The Directive on Copyright in the digital Single Market features essential provisions in chapter 3 on fair remuneration for authors and performers, which represent an important achievement in EU legislation. It sets out a general principle of proportionate remuneration allowing authors to share in the economic success of their works (Art 18), and unwaivable provisions strengthening authors’ right to information on the exploitation of their works (Art 19), reinforcing their bargaining power (Art 20 and 21) and establishing a right for revocation (Art 22). “We warmly thank MEPs who supported the trilogue compromise text. This is an essential first step towards more sustainable authors’ remuneration in the EU. Film and TV directors organisations across Europe stand ready to take advantage of this historic opportunity in favour of fairer copyright terms for talent and more diverse creative voices in the audiovisual sector”, said Pauline Durand-Vialle, FERA Chief Executive. “This important first step towards a more equitable and efficient model for the remuneration of authors will have a very positive impact on Europe’s film and television culture and industry. We look forward to working with colleagues to bring the good intentions of the European institutions to fruition and express our gratitude to all who have worked for this result”, said David Kavanagh, FSE Executive Officer. "With the principle of proportionate remuneration, the directive establishes a new standard in EU legislation for authors' remuneration. We will ensure that at the implementation stage, this principle iis translated in appropriate mechanisms to guarantee audiovisual authors share in the economic success of their works", said Cécile Despringre, SAA Executive Director.